Any time of the day is a good time for pie. CGI has fully ruined car crashes. Because how can you be impressed with them now? When you watch them in the '70s, it was real cars, real metal, real blasts. They're really doing it and risking their lives. A dog's got personality. Personality goes a long way. Every movie is a genre movie. Hamburgers! The cornerstone of any nutritious breakfast! I don't make movies for America. I make movies for planet Earth. America is just another market. I like it when somebody tells me a story, and I actually really feel that that's becoming like a lost art in American cinema. I steal from every single movie ever made. If people don't like that, then tough tills, don't go and see it, all right? I steal from everything. Great artists steal, they don't do homages. I was kind of excited about going to jail the first time and I learned some great dialogue. I write movies about mavericks, about people who break rules, and I don't like movies about people who are pulverised for being mavericks. If my answers frighten you... then you should cease asking scary questions. If you just love movies enough, you can make a good one. L.A. is so big that if you don't actually live in Hollywood, you might as well be from a different planet. Movies and music go hand in hand. When I'm writing a script, one of the first things I do is find the music I'm going to play for the opening sequence. Movies are not about the weekend that they're released, and in the grand scheme of things, that's probably the most unimportant time of a film's life. Something stopped me in school a little bit. Anything that I'm not interested in, I can't even feign interest. Superman didn't become Superman. Superman was born Superman. When Superman wakes up in the morning, he's Superman. His alter ego is Clark Kent. His outfit with the big red 'S,' that's the blanket he was wrapped in as a baby when the Kents found him. Those are his clothes. What Kent wears- the glasses, the business suit- that's the costume. That's the costume Superman wears to blend in with us. Clark Kent is how Superman views us. And what are the characteristics of Clark Kent. He's weak... he's unsure of himself... he's a coward. Clark Kent is Superman's critique on the whole human race. Sure, Kill Bill's a violent movie. But it's a Tarantino movie. You don't go to see Metallica and ask the f*ckers to turn the music down. The good ideas will survive. To me, torture would be watching sports on television. Violence is a form of cinematic entertainment. 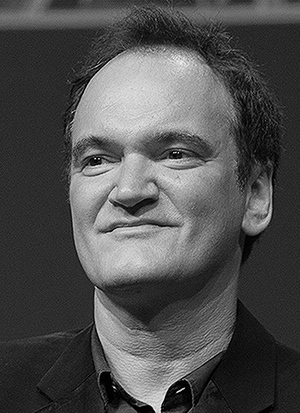 As well as being massively impressed with Quentin Tarantino's writing and directing you probably also left Pulp Fiction with a desperate hankering for a burger. 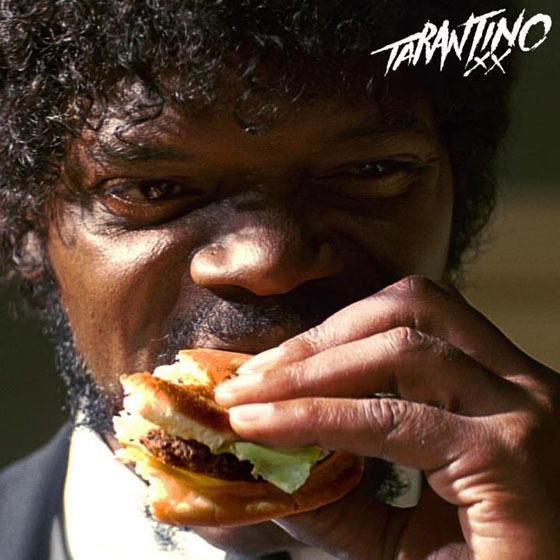 Samuel L. Jackson extolling the virtues of the Big Kahuna burger is one of cinema's most mouth-watering food moments. Since it's not an actual fast food restaurant, we sadly can't try one for ourselves but we've done the second best thing. We chatted with Dave Watts, head chef at The Cotswold House Hotel, who gave us his spin on the Big Kahuna burger so you can try it at home. Suitable melting cheese to your taste. I use Ogle Shield which is a fantastic unpasteurised Somerset jersey milk cheese, perfect for that melting, glossy, gooey burger cheese. Place the oil, diced onion and a pinch of salt into a heavy bottomed pan, place onto a medium heat and cook, stirring occasionally until golden brown. This will take 20-25 minutes. Be careful not to burn the onions; as they start to color they release more sugars and will stick to the pan and burn more easily. While the onions are sweating prepare the herbs and the other ingredients to add to the mince. Place this all into a large bowl and add the mince. When the onions are golden brown remove them from the heat and allow them to cool to room temperature. When the onions are cool add them to the bowl of mince and mix well with clean hands, as if you were making bread, incorporating all of the ingredients. Cover and allow to cool in the fridge for 1-2 hrs. This allows the mix to rest and helps to gel it all together. Weight the mix into 160gm (5.64383 oz) balls and flatten to your desired thickness. To finish the burgers I char grill for that "tasty burger" flame grilled richness. Cook for 2 and a half to 3 minutes on each side. Half the buns and grill for a minute or two under a pre-heated grill. Once the burgers are cooked, remove and place onto the toasted buns add the slices of cheese, gherkins and relish. Finally add the top of the bun and serve with an ice cold Sprite... altogether now (and in your best Samuel L. Jackson voice)... "Mmm…this IS a tasty burger."